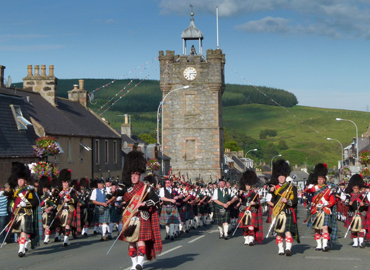 Davaar is a Victorian Villa set in the heart of Dufftown the Malt Whisky Capital of Scotland. Originally built in the late 1800’s it is named after Davaar Island in the South West of Scotland just off Cambletown. Davaar is the only house in Dufftown built in the American “New England” style, it was built by a man who left Dufftown to emigrate to America, where he built houses in New England, when he returned many years later he built Davaar in Dufftown in the same style. It is named after the Island as the lighthouse on the Island was his last view of Scotland when he left and his first view when he returned.